It seems like every time you turn on the news, there appears to be a new emergency. It might be a man-made disaster like the recent I-85 bridge collapse in Atlanta or a natural one like a Snowmageddon event or a devastating wildfire. The concern of lost work time due to an emergency is a reality, especially if employers expect all employee work to be done on site at the office. In order to decrease downtime and loss of productivity due to such emergencies, firms should provide flexible work options for their employees. Getting virtual is a necessity and it is becoming a common occurrence. According to statistics from Global Workplace Analytics, the telecommuting workforce has increased by about 102% from 2005 to 2014. How your firm gets virtual first requires the employer to evaluate the specific needs of the employees and identify what would be best for the employees and the firm. The ideal situation would allow employees to work from anywhere, anytime which requires virtualization. There are different options available to get virtual depending on your firm’s desires. At a minimum, a plan should be in place for unforeseen circumstances that keep employees from getting to the office. A desktop solution like Desktops2Go is a perfect option. Using any internet connected device, such as a tablet or smartphone, you can access your virtual desktop from home or another location. Work files and resources are housed remotely in the cloud, so there is no need to be physically in the office to get your work done. Whatever your job may be, from accounting professionals to project managers, all company information and software such as Vision or AutoCAD would be accessible in this cloud solution. Additionally, this cloud solution has the benefit of allowing you to switch between devices and pick right back up where you left off. In case one device fails or is stolen, you could continue working without missing a beat. Since none of the company information is stored locally, you don’t ever have to worry about losing control of company collateral. Finally, and specifically for Deltek and Microsoft users, you can take advantage of web-enabled Deltek Vision, Deltek Project Information Management (PIM) and Microsoft Office 365. 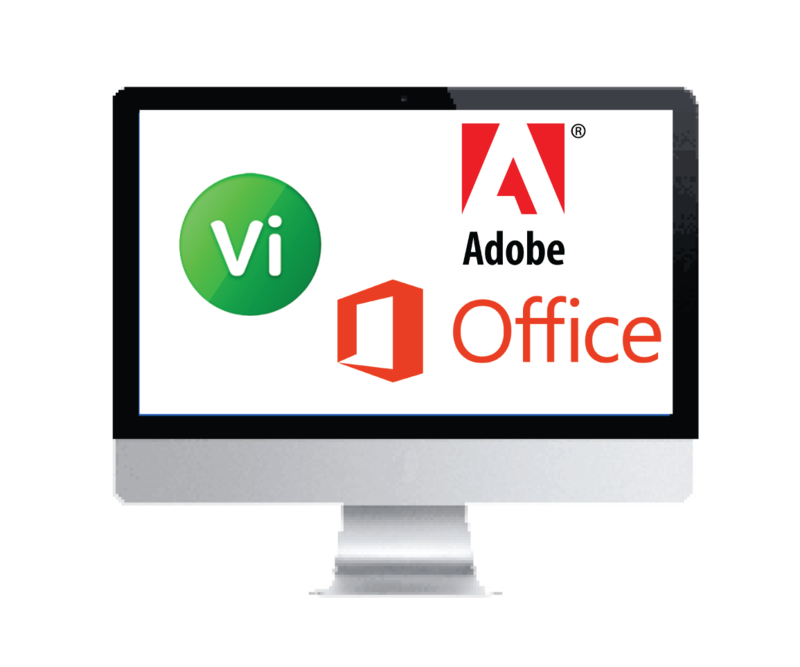 With these products, you can access Vision and all company information such as company files, emails and Microsoft Office from anywhere. However, remote access to Vision and PIM do require IT involvement and approval to configure for remote access. Full Sail Partners can assist you with any of the solutions you feel will fit your firm’s needs. We look forward to helping you get virtual so you will never have to get stuck again in any emergency. Click here to request more information!